Maybe not as well-known as Grissom, Haratio or Stokes, Michael A Hill is the new CSI(Crime Scene Illustrator) on the block, with a colour map for the new book by Wife and Husband crime writers Nicci French. Blue Monday soon to be published by Penguin/Michael Joseph is the first in a new series with crimes stories based around the lost rivers of London. 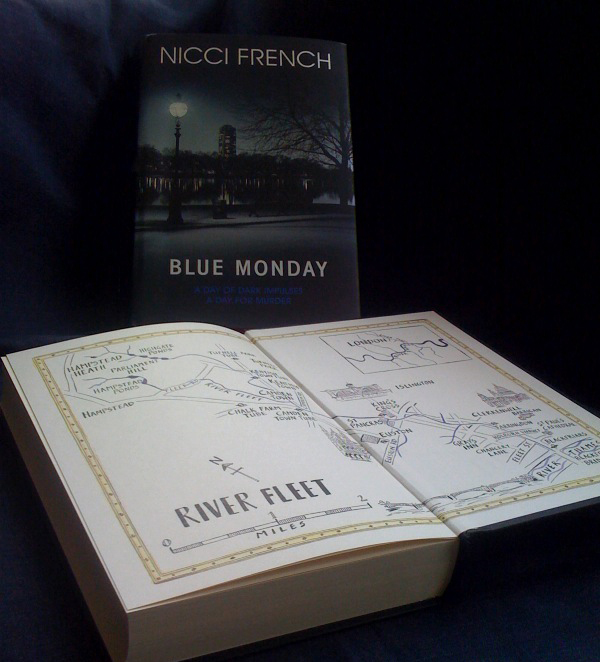 The first story follows the River Fleet from its source on Hampstead Heath until it meets the River Thames at Blackfriars Bridge. 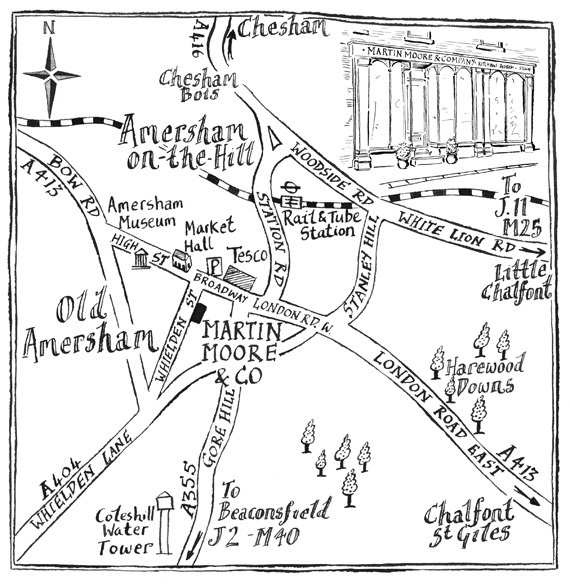 With the hand-drawn map on the front and end papers you will find yourself flicking back and forth to try and identify the Crime Scene illustrated by London's latest CSI ( Crime Scene Illustrator) Michael A Hill. Martin Moore & Co - bespoke handmade kitchen company wanted to extend the bespoke feel to their website so chose Michael A Hill to produce bespoke handmade maps for the information part of their website and brochure. 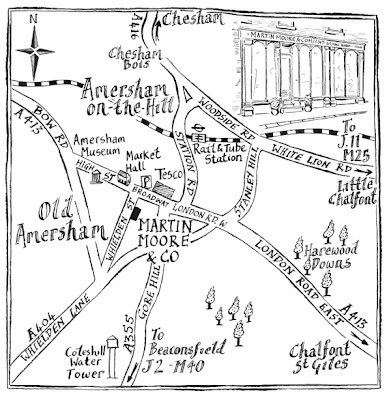 The maps crafted in black and white line produced with traditional pen and ink technique added just the right tone to this upmarket company with locations across the country. The maps also included little sketches of the shop fronts to give them a very personal and bespoke look. 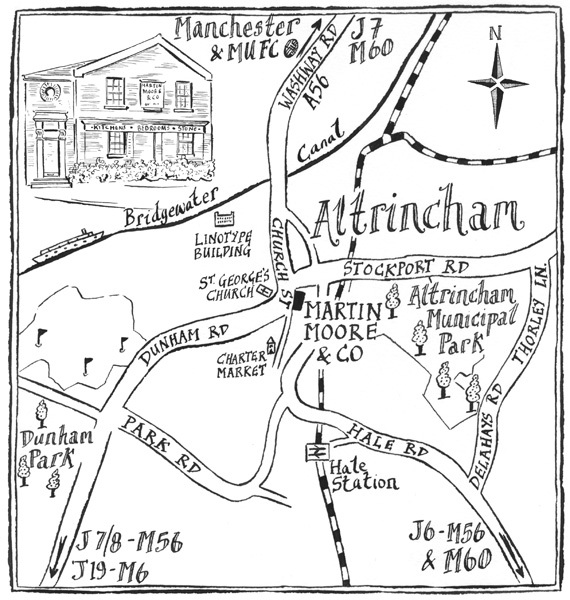 Take a look here and click on the place names. Lagom Designs, home of the map wrap has just published an up close profile of me on their website.